It was inevitable that I would make it to a staple flavor of the C&C brand. I’m not saying that Draft Root Beer is a staple flavor of theirs, but a staple flavor…of America. Cola, root beer, and lemon lime are arguably the three main soda flavors that companies make. They are a great (but not perfect) litmus test into what kind of quality you’re dealing with in a soda manufacturer. Root beer has the most diversity of these three flavors followed by cola and then lemon lime. So today’s review may very well be a summary of all C&C soda reviews. Hopefully they take their root beer seriously, because I will. While I’m not wowed by the generic root beer scent that came wafting out of the bottle I am at least now under the impression that the aroma is strong enough to warrant a decent taste. Hopefully the smell is masking some sort of hidden awesomeness. My first impression is that C&C Draft Root Beer is a fairly refreshing beverage. The syrupy mouth feel found in many other root beer is absent, instead a delightfully light flavor (in comparison to other root beer) takes its place. Carbonation is light to the point of almost not being discernible. I don’t mind root beer having a little less carbonation than other sodas so that they can keep their smooth feel, but take away too much of the fizzy stuff and the soda my start to seem flat. C&C Draft Root Beer is walking a very fine line between flat and “just fizzy enough”. With that said I won’t be writing home about the flavor of this root beer unless of course my mother is reading this right now. The flavor is very simplistic with very little character. You could probably find a similar flavor in a store bought root beer kit. So does this mirror what I’ve experienced with C&C sodas so far? Yes, it really does. While I haven’t made it through the 24 flavors sent to me I’ve already seen a theme amongst most of what I’ve tasted. 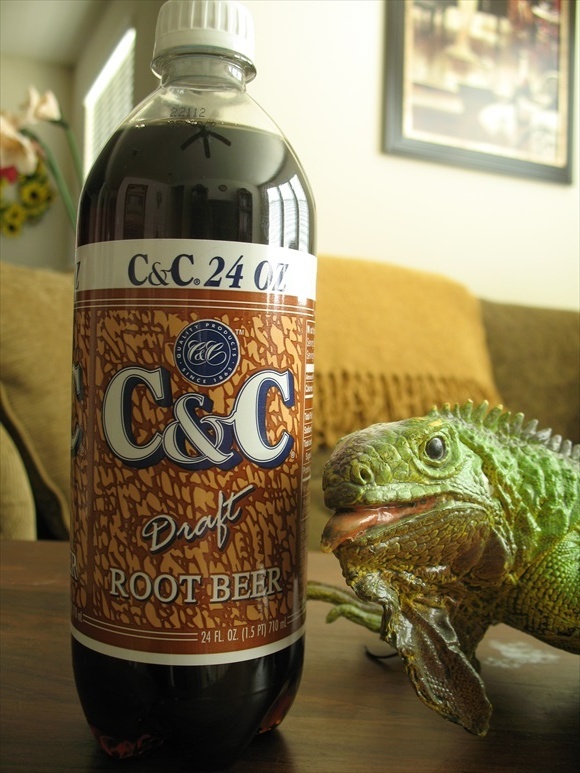 C&C Draft Root Beer, much like so many of their other flavors, is safe. It’s Honda Civic of root beer. I used to drive a Civic and enjoyed my time with it, but I was always looking for something with a bit more character. Now Honda makes a few models that will turn some heads just like C&C makes a few flavors that make me want to buy multiples, but overall it’s safe and safe can be boring if it’s not handled just right.